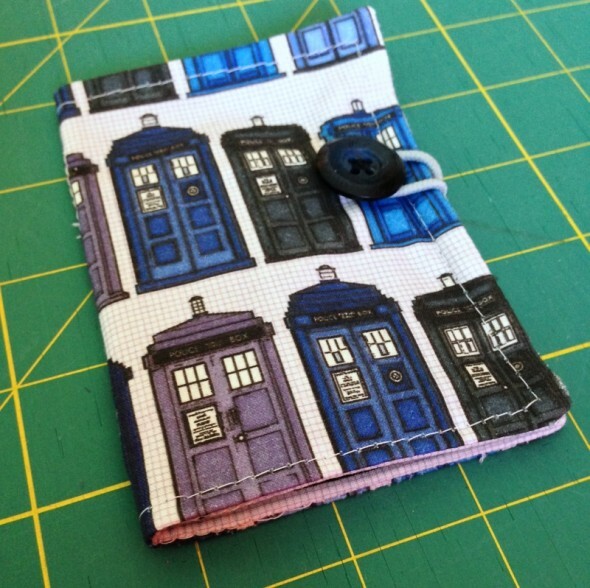 I made Adam a tea wallet from this tutorial for his Christmas stocking way back when I first started sewing and blogging. I was very proud of it, and he actually uses it. I bought this TARDIS fabric from a Spoonflower designer at the same time I designed and ordered the sound wave fabric for his, but it’s been sitting in my stash waiting for a good use for 5+ years now. 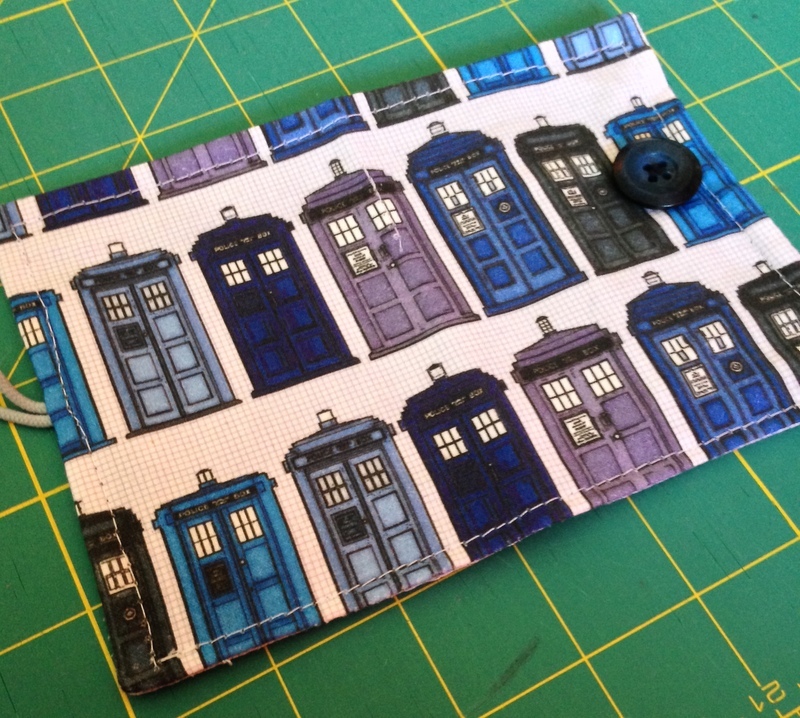 One of the GeekMoms seemed like she could use a little mail surprise, so last week I put one together for her with this fabric. She is a Whovian and a tea lover, so it seemed like a good plan. 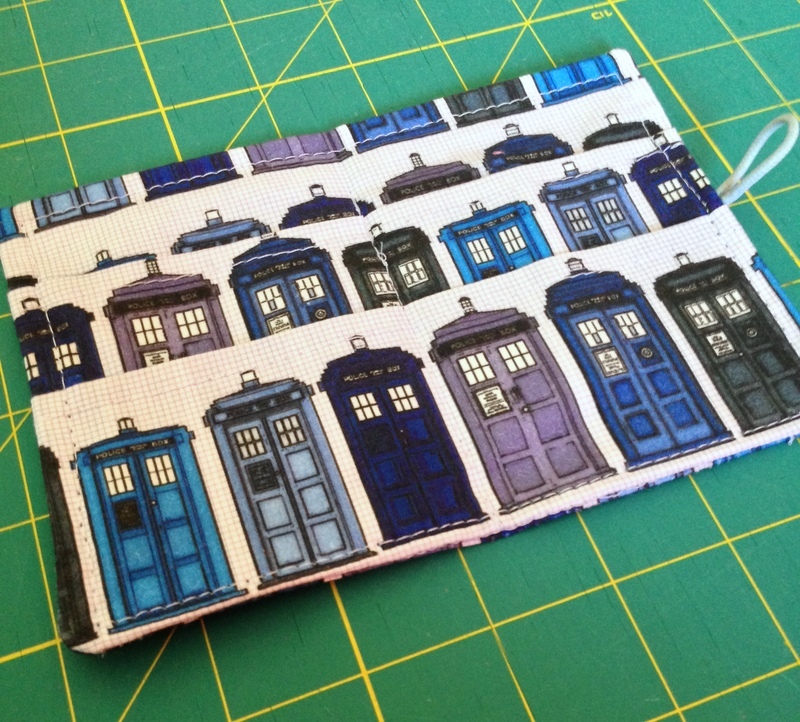 I still have tons of this awesome fabric, but sometimes it is so insanely satisfying to use your stash. Even a little bit of it. I mailed it off over the weekend, and it should be received today or tomorrow. This time I used the tutorial from Handmade Therapy. I kind of love this little wallet, and it was a nice break from my big quilt projects. I shared this project over at Fresh-Squeezed Fabric’s Show and Tell Tuesday and Sew Cute Tuesday. It’s very nice. The fabric is perfect. Love it! Oops, I made the mistake of letting my kids see this! 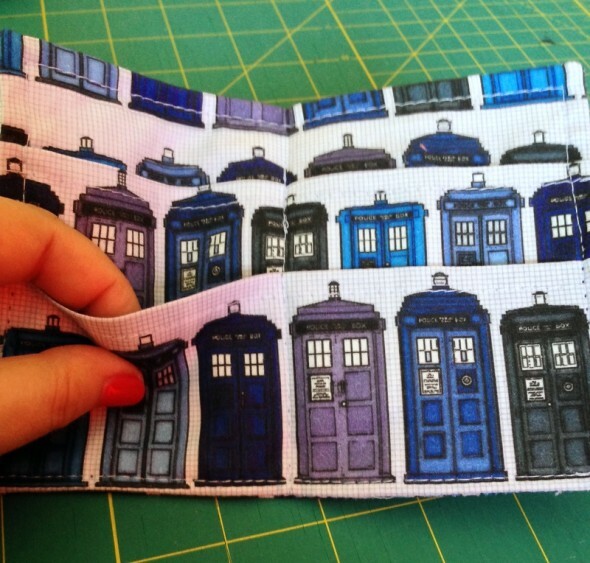 Now they want TARDIS fabric for themselves! !